Preheat oven to 350 degrees and spray cooking sheet with nonstick cooking spray. 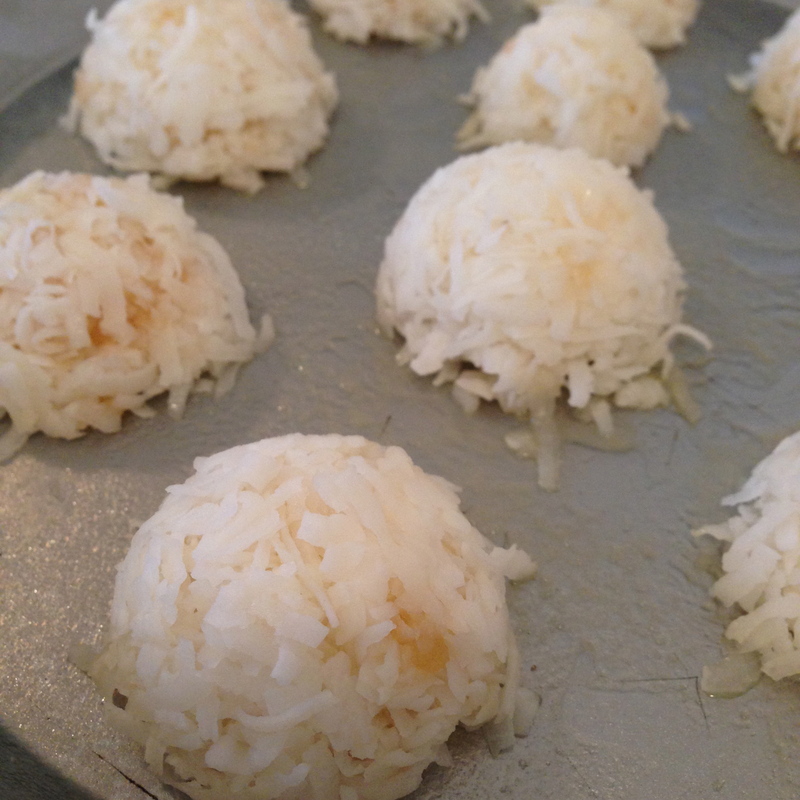 Separate and whisk one egg white, and stir into bowl of shredded coconut until combined, stir in two packets of stevia. (Using a 1 Tablespoon measuring spoon makes 8, and using 1/2 Tablespoon makes 14), scoop mixture and press into the tablespoon, keeping mixture together, then place onto the cookie sheet (I had to tap it a little for it to fall out). 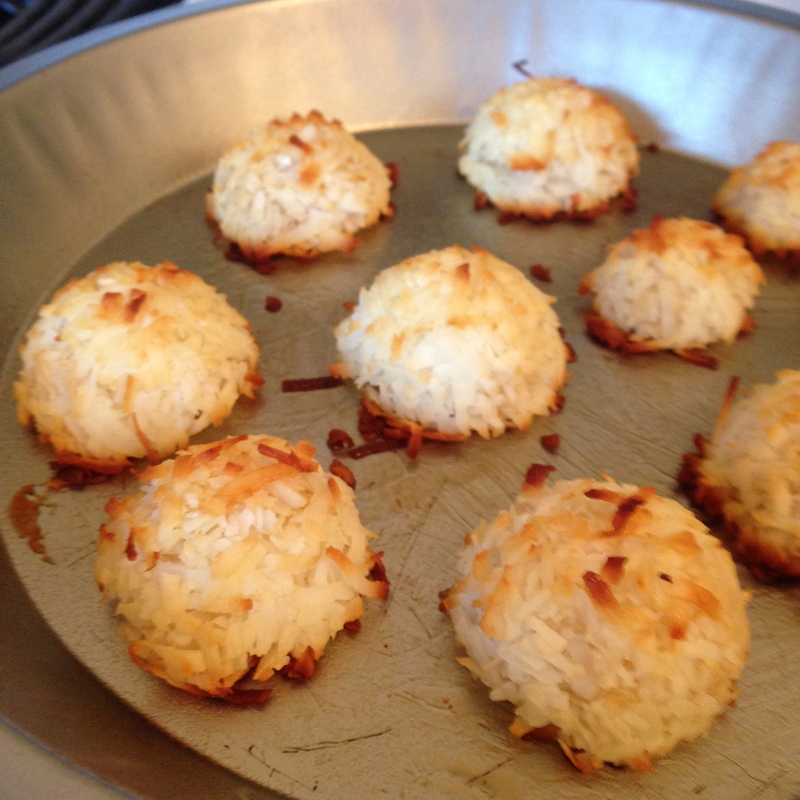 Bake for 10+ minutes, keeping an eye on them because they can burn easily! You want them light golden brown. 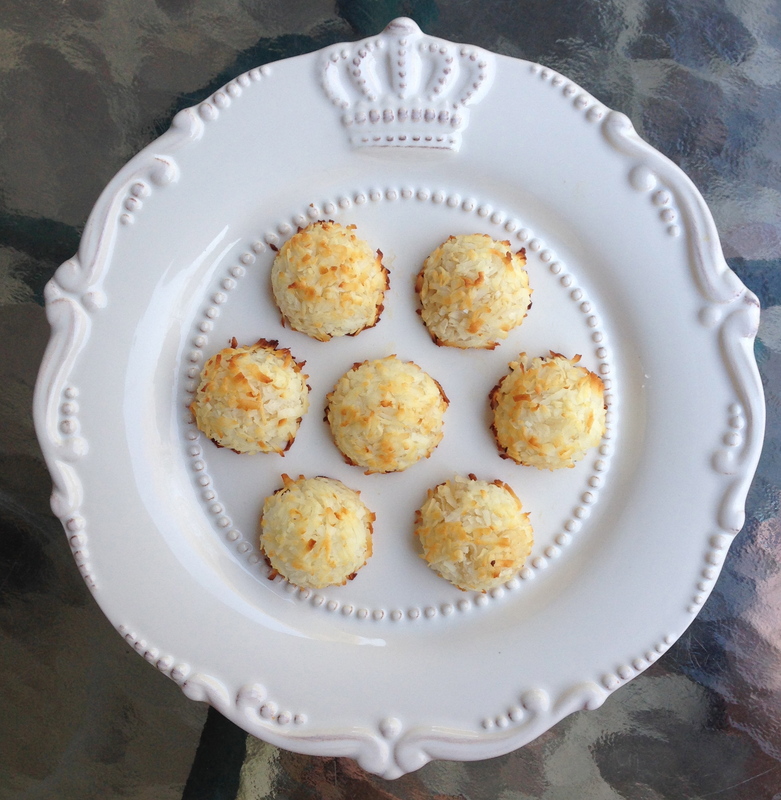 You can put under broiler for a minute if the tops of the macaroons don’t become brown. Remove and cool.